Styling, Staging and Renovations. Carmol gives you a home-sweet-home affordably. Our redesign recipe combines the items you already own with a few new pieces to up the flavor factor. Sweet! We provide Home Staging with a WOW factor to make your listing unforgettable, and will create beautiful online photos to bring you a quick sale at top dollar! We specialize in affordably transforming your space in transitional and contemporary decor from our own warehouse for both vacant and occupied listings. We are a mother-daughter team based in southeastern Wisconsin, and hold certifications in home staging and redesign from the leading experts in this industry. Color consultations and redesign services are also provided. Selling? We can transform your home to appeal to the widest range of buyers, so you get it sold quickly and for top dollar! We have plans that you can implement, we can do all the work for you, or we can do something in between. Moving Consultation: Moving is a big job! Knowing exactly what to do, saves time, energy, and stress. We come up with a plan that is tailored to you and your home. 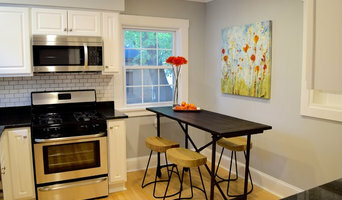 Occupied Staging: Using your furnishings, we get the look buyers want. Vacant Staging: We design a plan to highlight your home's best features, then implement that plan using furnishings from our extensive warehouse. Color Consulting. Don't make an expensive mistake by painting the wrong colors. After assessing what's not changing in your interior, we select the colors that will make your house fresh and lovely. Geneva Lake Design is a HSR Certified Professional Home Staging and Redesign firm serving Lake Geneva and surrounding areas. As Principal for the Company, I completed the most comprehensive and intensive home staging and redesign certification course in North America. The Home Staging Resource Certification training program leads the Industry and currently stands as the only Accredited Staging Training by the Real Estate Staging Association (RESA) who governs the entire home staging industry. No Place Like Home Staging LLC. We are able to quicky assess the current state of your home, visualize a concept, and then turn that into a beautifully staged home, that will sell for 15% - 17% more than a home that is not staged. We work with homeowners, realtors and builders. We are committed to providing the highest level of service on any budget. So whether you are updating your current home, or staging to sell there truly is " No Place Like Home " to help you achieve your goals. We specialize in occupied and vacant home staging. Our goal is to get your house sold quickly for the highest price possible! We also offer design services and painting. Staging is the process of preparing your home for sale in such a way that it creates immediate buyer interest. The end result is a higher profit for the seller. Buyers are looking for a home with which they emotionally connect. Staging draws the buyer by the presentation of a warm and desirable living environment. I have been in the business of creating beautiful space planning for over 20 years. Changing and redesigning has always been my passion. The space will be seen trough the eyes of your future buyer. Located in Waukesha, Wisconsin, Today’s LifeStyle Solutions is a locally-owned, bonded and insured, professional organizing and transition management firm. Pricing creates interest, online photos bring in potential buyers, home staging brings in offers! Hello there! I am a Home Stager and Interior Redesigner, specializing in budget-conscious design for those who plan to sell their home or just want to fall in love with it all over again. To that end, I am thrilled to use my creative, personalized, and thoughtful approach to design to help each and every unique client. I have been in the interior decorating business since 1994 with my certification from the Sheffield School of Interior Design in New York. I received my certification in Home Staging and Redesign in 2013 and enjoy working with my clients to decorate their new home, redesign a current home, or prepare to sell their home by staging and decluttering. It is a passion of mine for most of my life and I love the interior design business as well as working with my clients and see the outcome of our work. We blend experience in the real estate industry with extensive training in home staging to position our clients’ homes above the competition. We arm our clients and their Realtors with the very best in merchandising techniques toward the goal of selling their homes in less time and for more money – in any real estate market. We have been in business since 1994 and strive to make your home look incredible before you decide to list it for sale. Decluttering and Organizing for clients who are just downsizing is one of our many services as well. Helping clients to repurpose their existing furnishings in their new home is something we like movers out there to remember we offer too. We can help you with your look of the interior of your home in many ways, just call! I believe home owner's don't have to spend a small fortune when updating. Swivel reDesign specializes in first using what you already own to stage your home for top dollar. On the flip side, Swivel reDesign collaborates with you to cost-effectively refresh your space, meeting your families needs, desired look, style and feel. We are here to listen and design so you can "Love what you live with and live with what you love." What does a Wauwatosa home stager do? 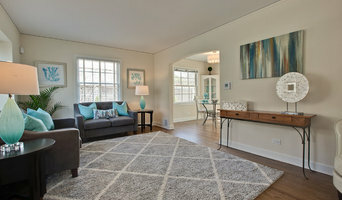 Home staging companies in Wauwatosa, WI employ a variety of different techniques to present the home in the best light possible. The first step will likely be to make sure the home is impeccably clean, including the exterior of the house. Next the home stager will work on removing the personal touches that are unique to the current owners. Paint colors might go from dramatic reds and purples to neutral tones like beige and taupe, in order to appeal to the masses. The home will likely be cleared of family photos, risqué artwork, collections and knickknacks, so potential buyers will be able to better envision their own life in the house. In some cases furniture will be swapped out, and you might not even recognize your own house. Some Wauwatosa home stagers tackle most of these tasks themselves, while others work with subcontractors and other professionals to get the job done. Here are some related professionals and vendors to complement the work of home stagers: Interior Designers & Decorators, Photographers, Real Estate Agents. The process of staging a home can be difficult for some homeowners, especially when being asked to change things you’ve poured your heart and soul into over the years; but try not to take anything personally, as the stager only has your best interest in mind and no intention of insulting your personal taste. 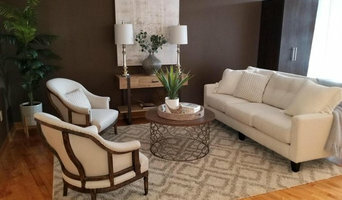 Before you contact a professional home staging company in Wauwatosa, WI, make sure to consider a few things: Are you willing to change your home and take the advice of this professional to help sell your house? Do you think your house would greatly benefit from the help of a stager? How long are you comfortable having your home on the market? A staged home is likely to sell faster and, on occasion, at a higher asking price than a non-staged home. While there is no guarantee this will always be the case, it’s often true and can make the entire selling and moving process a lot less stressful in the long run. If you are selling through a real estate agent, it’s a good idea to get their opinion on whether staging your home would be beneficial to your specific situation. 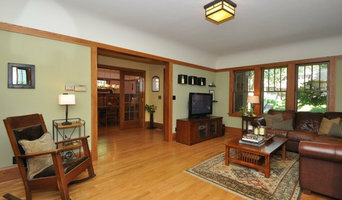 Find a certified Wauwatosa home stager on Houzz. Narrow your search in the Professionals section of the website to Wauwatosa, WI home stagers. You can also look through Wauwatosa, WI photos by style to find a room you like, then contact the professional who staged it.